TimeZone : Watchmaking & Repair » Your watch near electrical equipment and magnetic fields? An EPA paper, "EMF In Your Environment - Magnetic Field Measurements of Everyday Electrical Devices." was cited in a TZ post some time back - you can find the thread here. The images are missing from that thread but you can find the EPA paper with full details at the link below (PDF file). 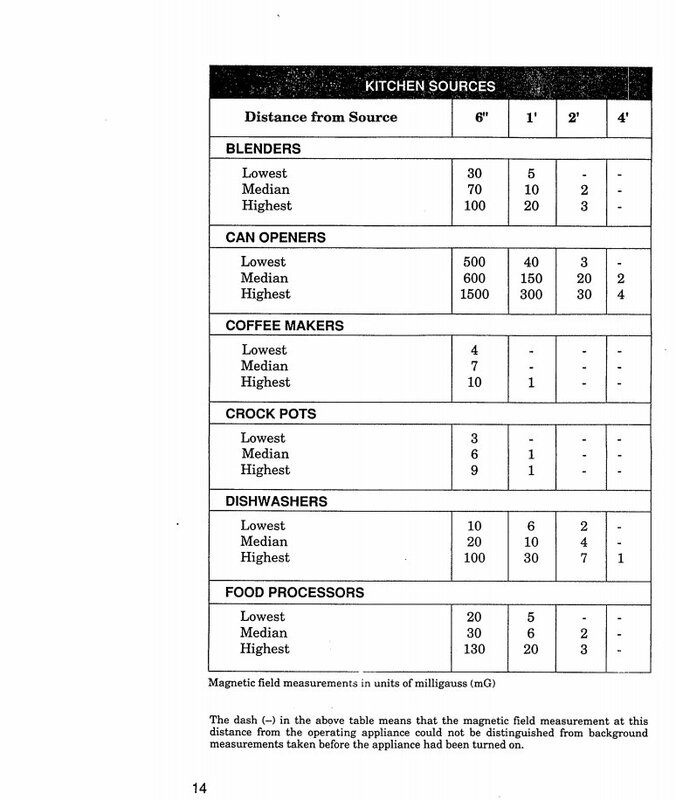 The excerpt below is taken from the paper and shows the the highest measurement at 6 inches was for can openers. It was noted that the highest measurement, 1500 milligauss, is well below 60,000 milligauss (= 60 gauss, equivalent to 4800 A/m). The ISO 764 standard requires a watch to withstand being subjected to a magnetic field strength of 4800 A/m to be classed as "antimagnetic". Interestingly, none of the devices measured in this EPA study generated fields even close to that strength.